Stay hydrated out in the field, at the gym, or while stalking that elusive rare bird sighting! 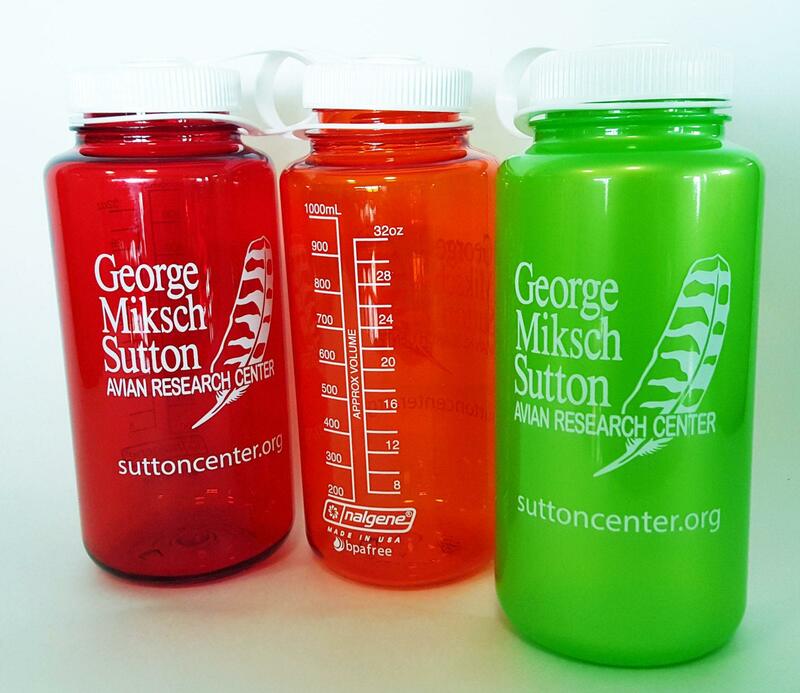 The Sutton Center has our very own line of Nalgene® water bottles for sale at our Merchandise Page. They’re listed at $15, but Sutton Center members can apply their 10% discount code at checkout. Shipping & handling is $3.50, but if you’d rather pick yours up in person, we can take cash or credit card at our offices (393636 Gap Rd).